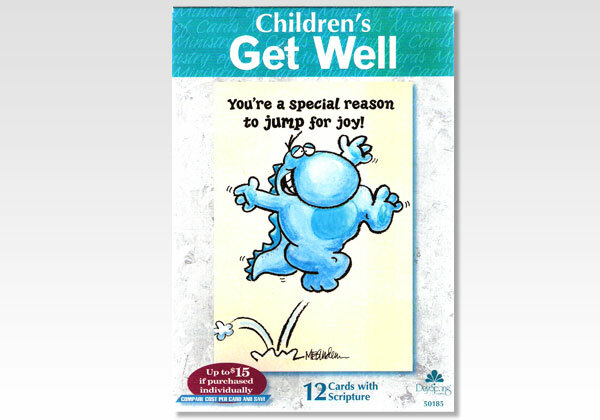 12 Children's Get Well Cards with Scripture Text. 1 box of 12 Get Well Cards with Envelopes. Six different designs, scriptures and greetings.